KODA is set to break ground at Fifth Avenue and South Main Street in Seattle’s historic International District this summer. Buyers began lining up the night before a recent preview event for KODA Condominium Flats, during which reservations and deposits were received for 95 percent of the 200-plus homes. SEATTLE — First-position unit reservations and deposits were received on 95 percent of the 203 homes planned at KODA Condominium Flats during a recent preview event. 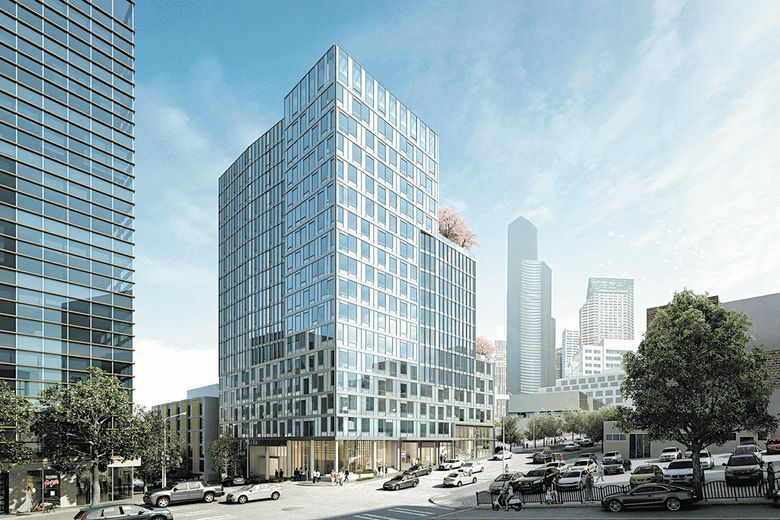 The 17-story midrise in the city’s International District is expecting its first occupants by mid-2020. Prospective buyers and brokers began lining up at KODA’s preview center the night before the event. Approximately 300 registrants attended the debut of the development, resulting in an additional 80 second- and third-position reservations, according to Dean Jones, president and CEO of Realogics Sotheby’s International Realty (RSIR). Homes will range in size from less than 400 to more than 1,100 square feet, with introductory pricing from less than $350,000 to more than $1.5 million. 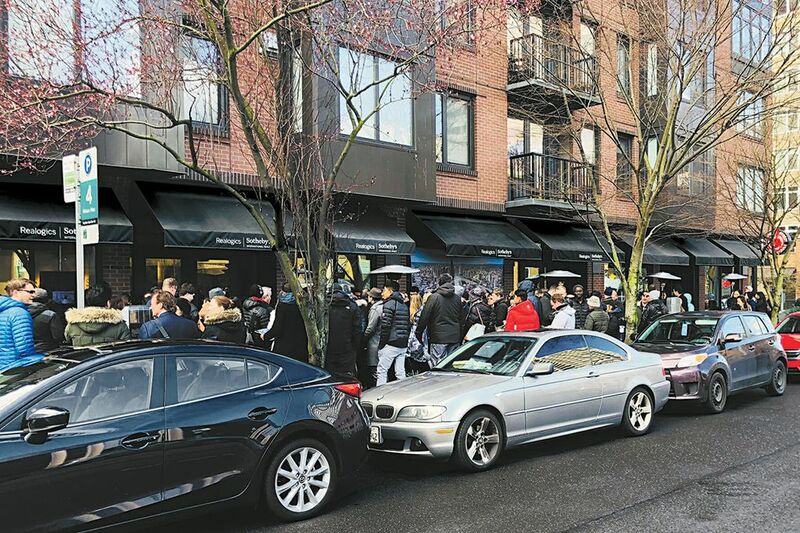 Prospective buyers line up at KODA’s preview center for a chance to reserve a condo. The homes were offered for individual unit reservations, which identifies a specific condominium with its preliminary floor plan, specifications and price range in advance of official presales, which are expected this summer, commensurate with the opening of the KODA sales center and the development’s groundbreaking. The reservation agreement is a first right of opportunity offered to consumers in exchange for a fully refundable $5,000 deposit that will be held in escrow. Reservation holders will be provided notice when the final product offering is released by the seller, including the final floor plan, confirmed specifications and fixed price within the quoted price range when those details have been finalized. Jones says KODA is the “first of few” new development opportunities for presales in downtown Seattle. According to research by RSIR and O’Connor Consulting Group, 94 percent of the estimated 27,000 housing units expected to deliver in downtown Seattle during the current decade will be for rent and not for sale. He says condominiums are notably undersupplied, citing developers’ preference to build apartments instead of condominiums. Resale opportunities for downtown Seattle condominiums have averaged fewer than 40 units, and the median asking price is nearly $1.4 million, according to the Northwest Multiple Listing Service. The number of reservations offered to individual investors at KODA was limited, Jones says. The reservation agreement requires buyers to identify themselves as either a primary resident, second-home buyer or investor, and must be qualified as such by the preferred lender. He says investor sales represent a minority of the reservations, and that the overwhelming majority of demand is from local homebuyers.